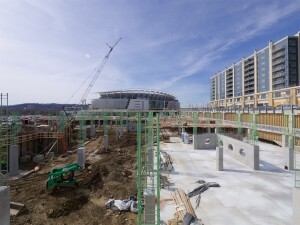 The parking garage that will support Phase 3 of The Banks is now under construction. On the 62nd episode of The UrbanCincy Podcast, Travis, Randy, and John discuss some of the challenges related to parking that developers face when building in the urban core. We discuss how parking requirements have impacted a variety of recent proposals including the Strietmann Biscuit Company building, Fifteenth & Vine, and LibertyElm, and we look back at suggestions UrbanCincy made in 2012 about how to deal with parking problems in Cincinnati. Finally, we give a few updates on a few projects moving forward in the urban core, including the Ziegler Park/Cutter Playground renovation and Eighth and Sycamore. 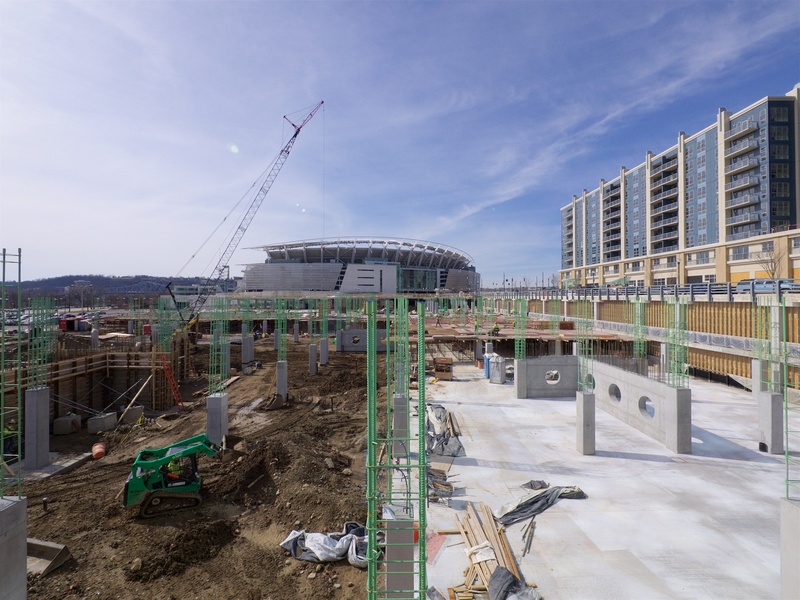 Photo: The parking garage that will serve as the foundation for The Banks Phase 3 is under construction. Taken on February 22, 2016 by Travis Estell.